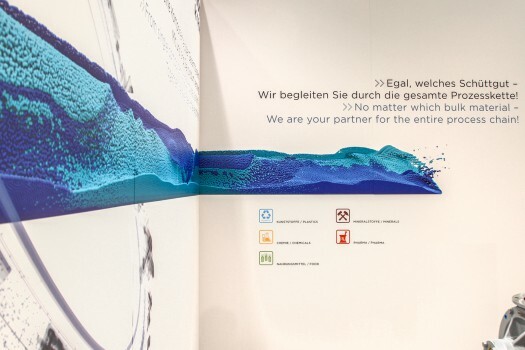 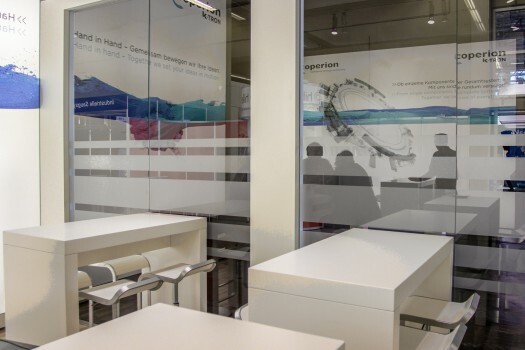 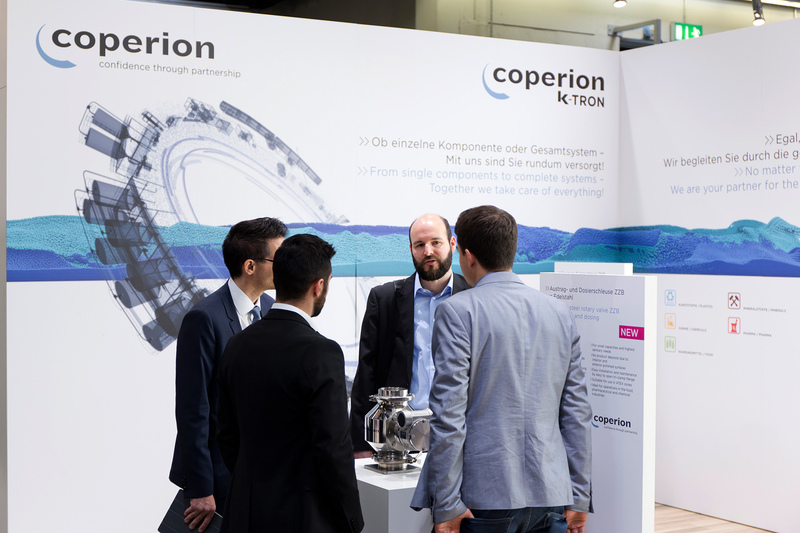 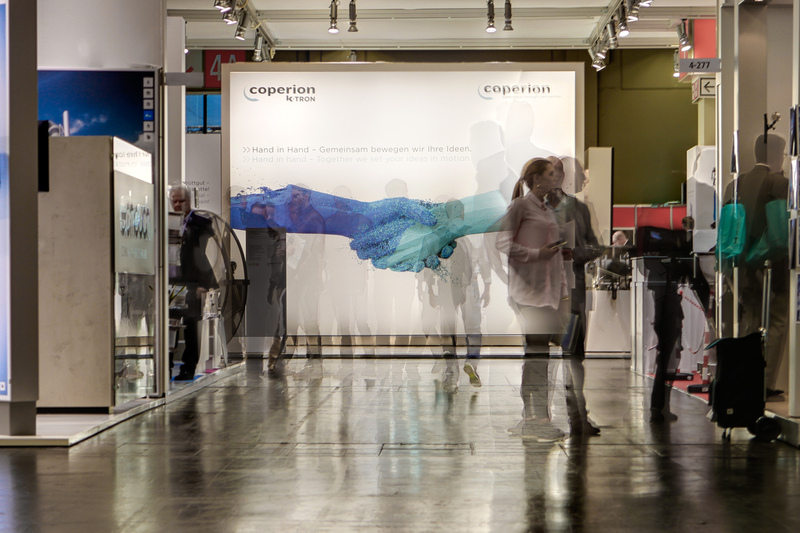 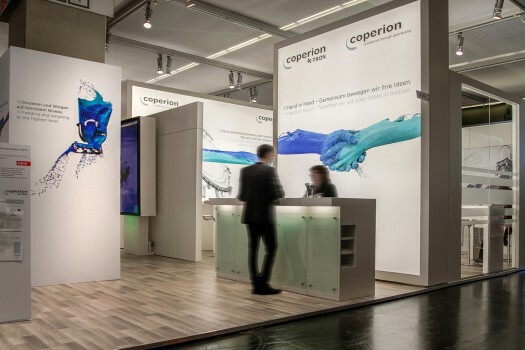 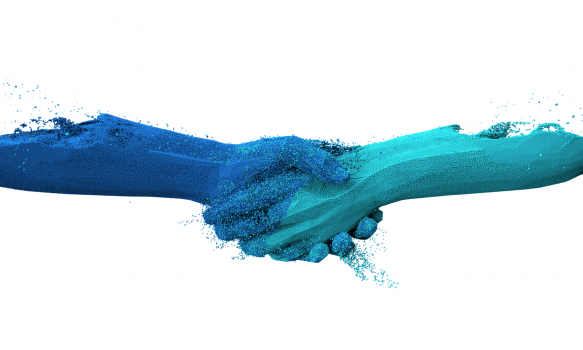 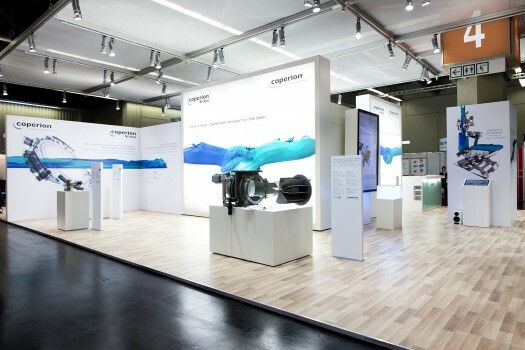 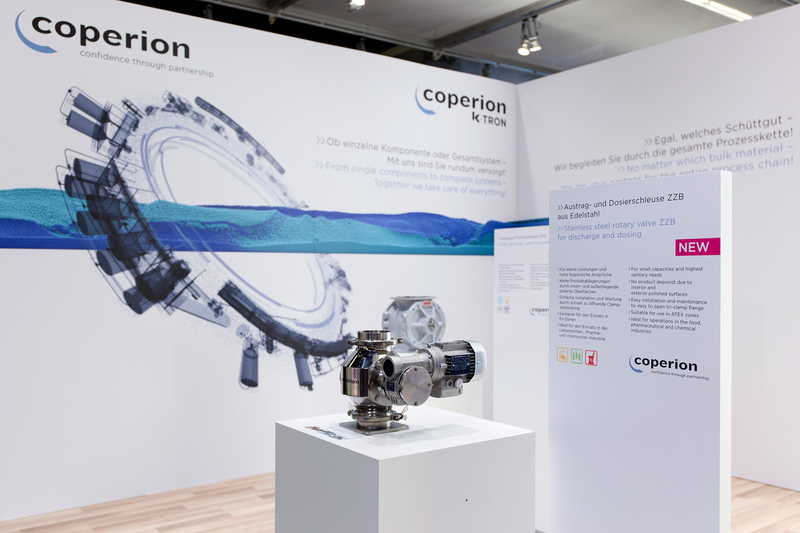 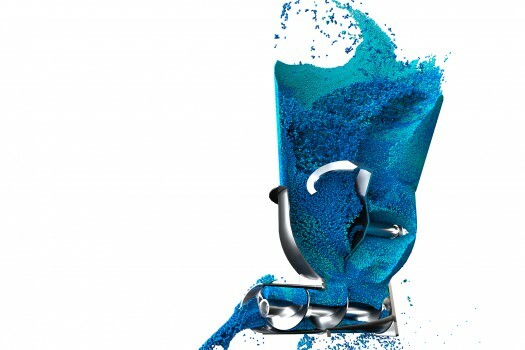 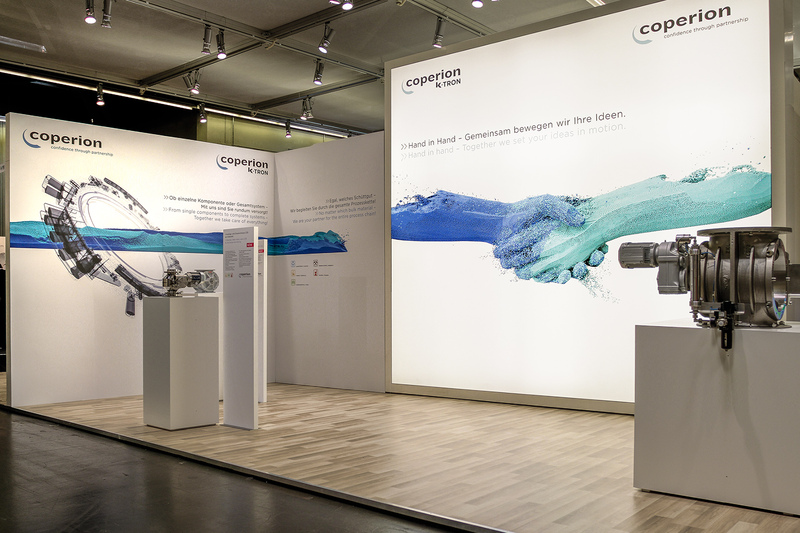 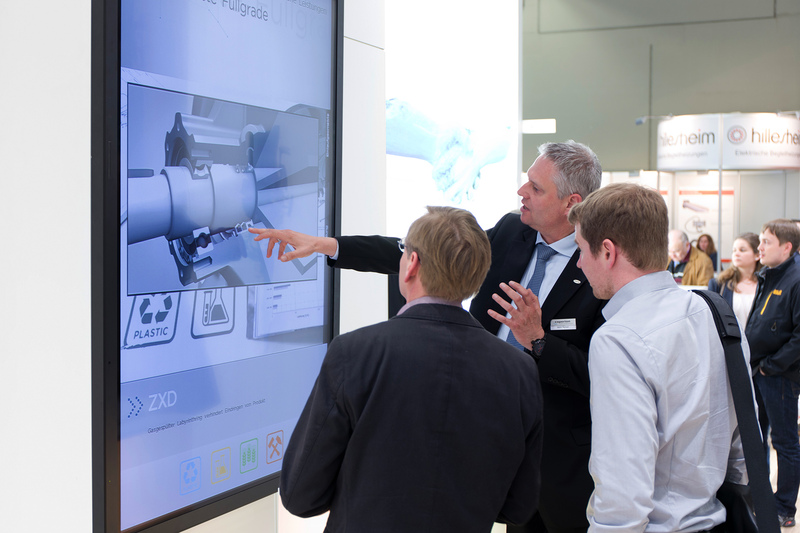 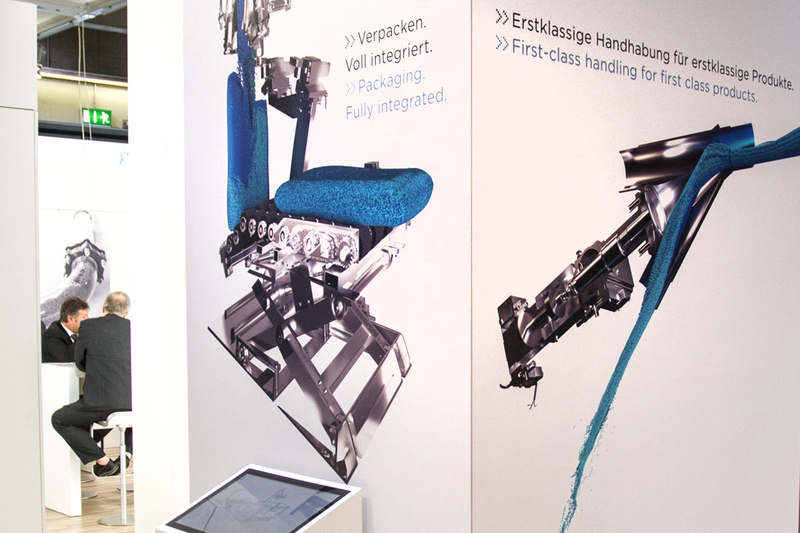 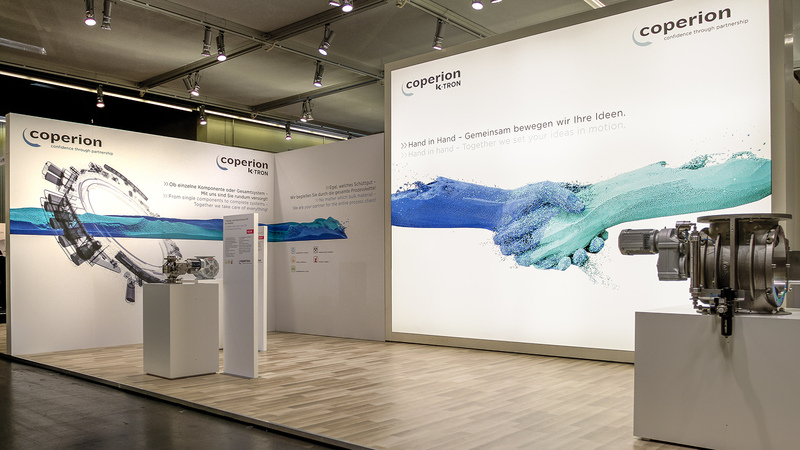 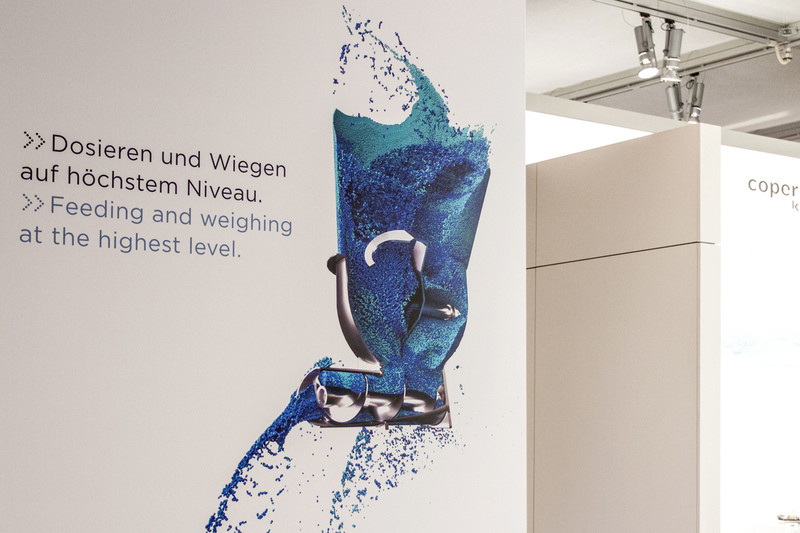 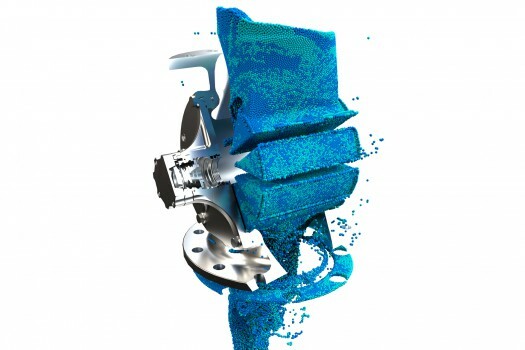 For Coperion we developed a fair-concept, which focusses the customers product. 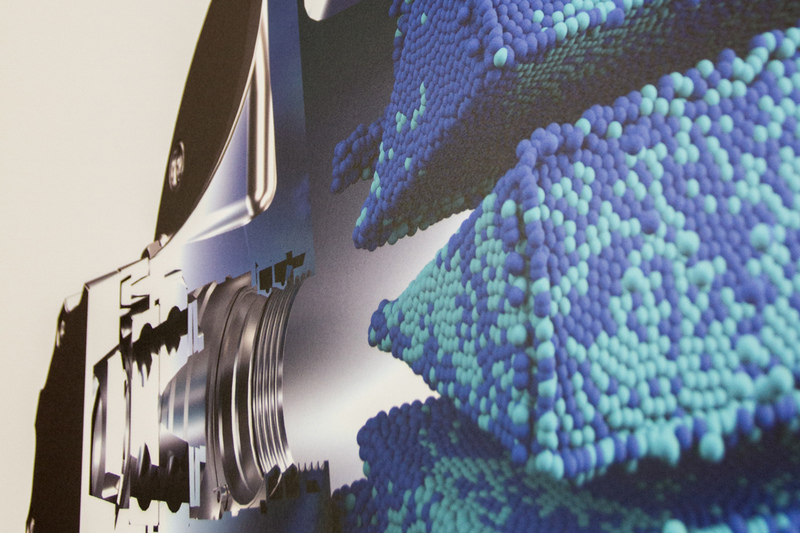 Different components were visualized and rendered in intersections. 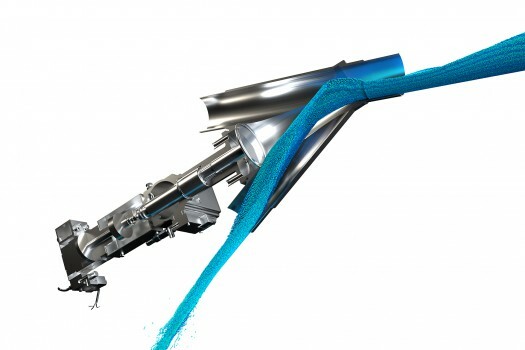 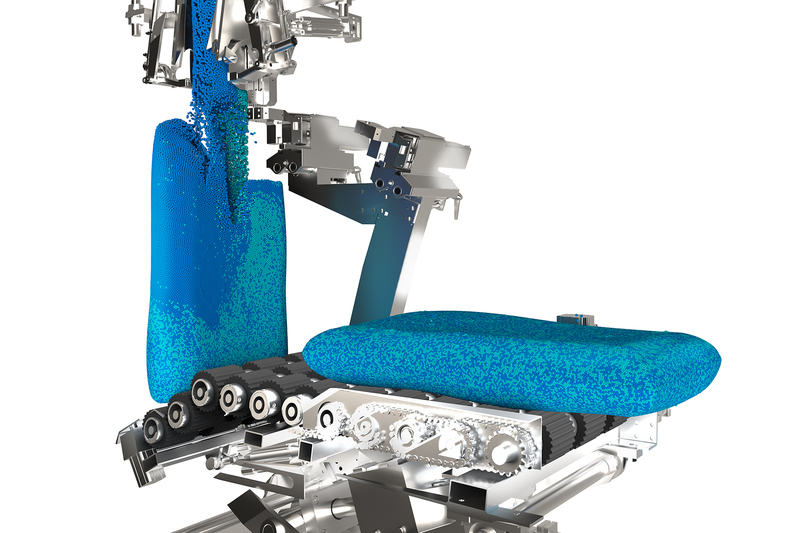 The developed graphics consist of particles or were complemented with particle-simulations.